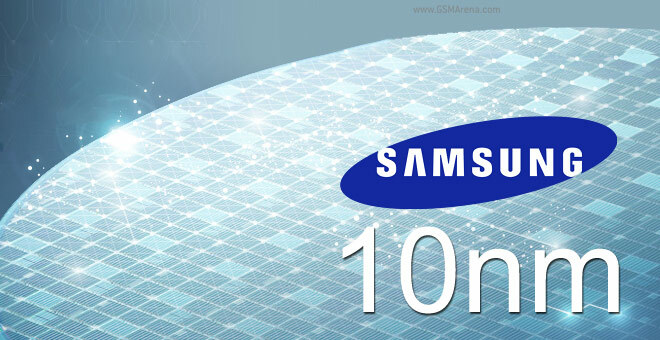 It is official now as Samsung has confirmed today that the company has indeed started with the mass scale production of an industry first 10nm application processor. This will replace the current 14nm FinFET processors and bring in better power efficiency along with faster performance to flagship devices in 2017. In spite of being based on a similar 3D transistor structure as its 14nm predecessor, the smaller 10LPE manufacturing process allows for an increase of 27-percent in performance and 40-percent in energy efficiency. If you are wondering when it will be released and which processors it will power, it is unclear as of now, since no comment was made on that subject. All that is known is the fact that it will come early in 2017. Many were of the opinion that the upcoming Qualcomm Snapdragon 830 would be the one to utilize this 10nm SoC, but other reports are suggesting that Qualcomm is shifting towards partnering with TSMC in manufacturing the SD 830. What is almost certain is that the 10LPE SoC from Samsung will be powering its own brand of Exynos 8895 processors, which will likely debut with the Samsung Galaxy S8.